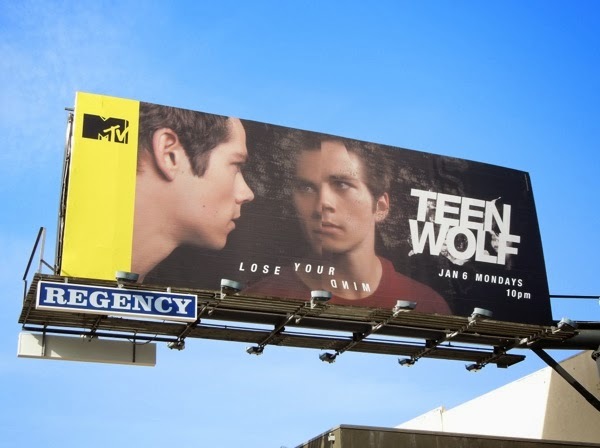 Teen Wolf is back for the second half of its third season and it looks like 'Scott' and his friends are in for more troubling times with them all questioning their sanity in the supernatural world they live. Looks like the focus of the craziest and bloodiest high school drama will shift to 'Stiles', Scott's best friend played by Dylan O'Brien. 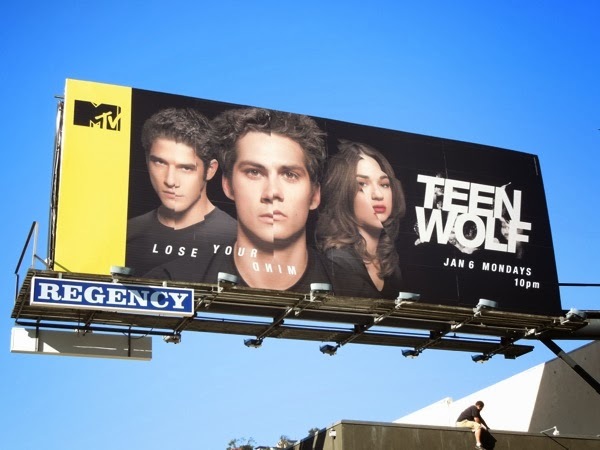 These midseason winter premiere 'Lose your mind' billboards for the third season of Teen Wolf were spotted along Sunset Boulevard at Crescent Heights Boulevard, with the lead three cast member ad creative spied on December 30, 2013 and the Stiles version snapped in the same location on January 10, 2014. 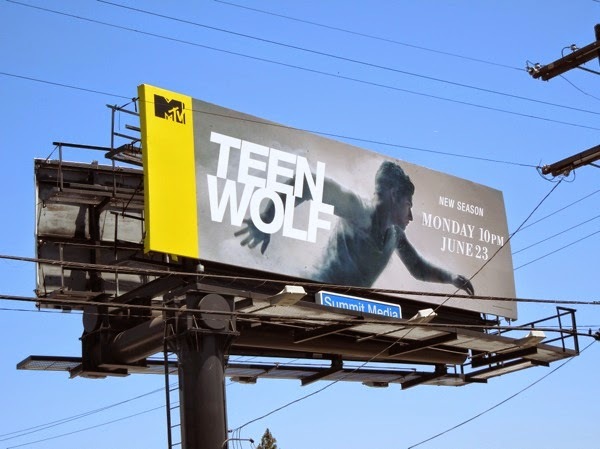 If you're the fan of the Tyler Posey and this Teen Wolf movie reimagining for the small screen, be sure to also check out these cool Teen Wolf season one billboards. 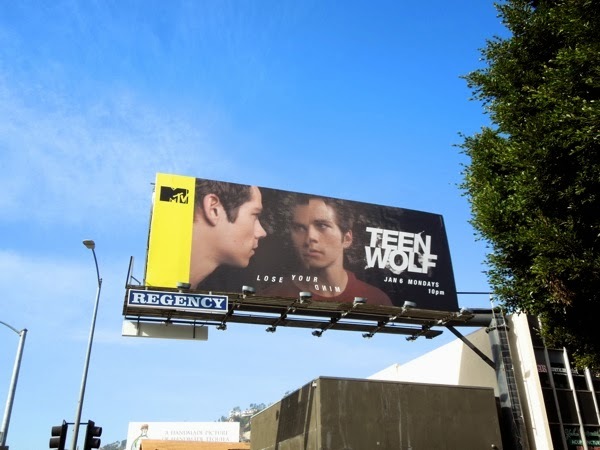 And stay tuned as the show has already been renewed by MTV for a fourth thrilling season. 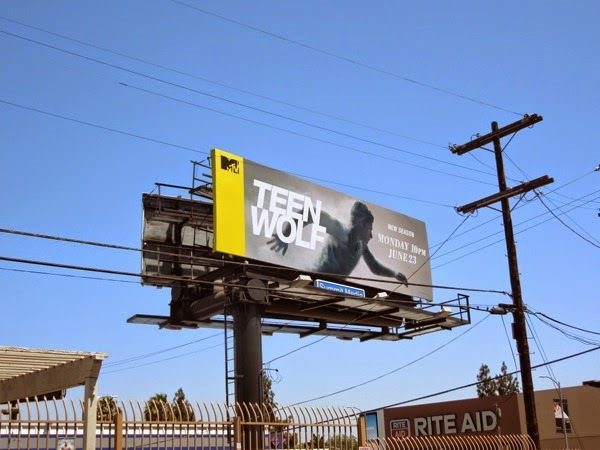 UPDATED: After the shocking status quo-altering third season Teen Wolf is about to embark on its fourth season and here's the promo billboard to get your adrenaline pumping. 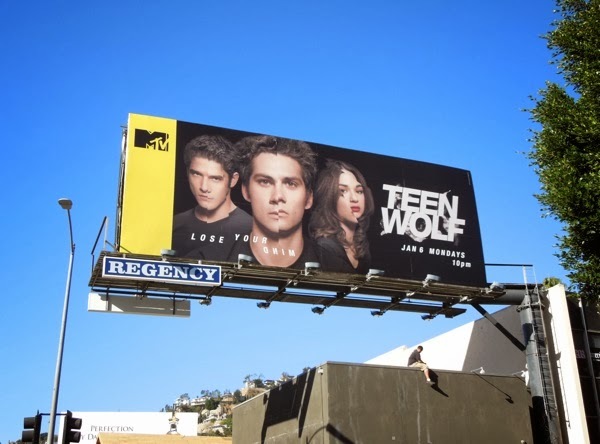 This physically charged billboard, which looks like it wouldn't be out of place as a Nike or sports drink ad campaign, was spotted hidden away along Sunset Boulevard on June 13, 2014.